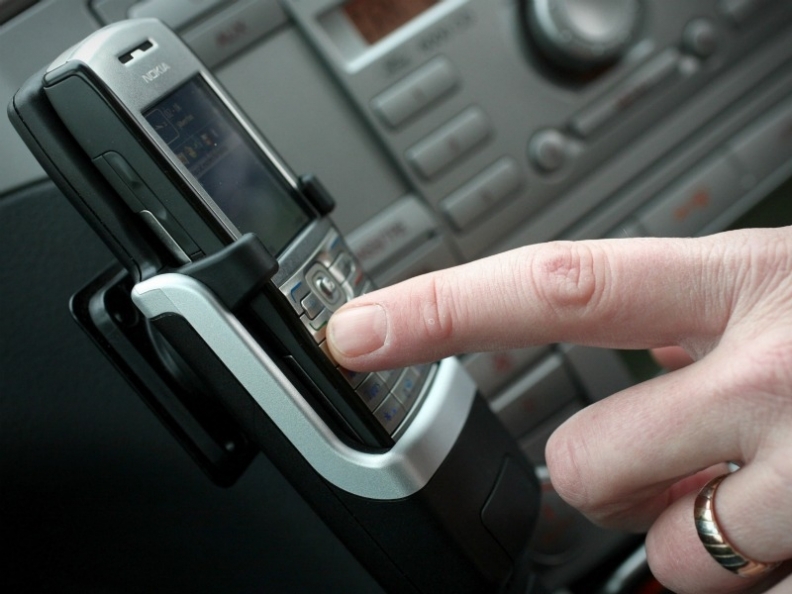 Half of the drivers who took part in a European study said they had read texts while driving. FRANKFURT -- The risks posed by distracted driving caused by mobile phones and other electronic equipment in cars are well understood, but they don't deter many drivers who continue to try and juggle tasks while behind the steering wheel, according to a European survey commissioned by Ford Motor Co.
Of those questioned in the study, nearly half admitted to taking their eyes off the road to read texts on their cell phones while driving. In the European Union, there are currently no universal directives on preventing distracted driving. Many EU countries ban drivers from using cell phones while driving but fines for ignoring the ban average only 60 euros. ''Each country has its own policy for distracted driving and how they pursue that,'' a spokesman for the European Transport Safety Council, an independent Brussels-based body, told Automotive News Europe. In the United States, transportation secretary Ray LaHood has made the issue a top priority, releasing non-binding guidelines for automakers asking them to modify in-car devices to allow them to be used only when a car is not moving. In Europe, some lobby groups believe that national governments too should do more to address the problem. ''It's something we have been campaigning on and asking the government to look at for the last couple of years at least,'' a spokeswoman for the RAC, a UK motoring organization, told ANE. Ford's study of about 5,500 European drivers found that an average of 48 percent of motorists surveyed from Germany, Spain, France, Great Britain, Italy and Russia said they checked their texts. Some 61 percent of Italian motorists said they had done so, compared with 55 percent in Russia, 49 percent in France and Germany, 40 percent in Spain and 33 percent in the UK. About 95 percent of those surveyed in the six countries said they thought texting affected a person's ability to drive and was therefore dangerous. At least half said they thought a driver's response was 50 percent slower when checking messages on a mobile device. Drivers in all the countries except Germany and France said they were least likely to read messages from friends. In Germany and France, drivers said they were least likely to read work-related texts. Ford commissioned the study to underscore the distracted driving safety issue as the automaker prepares to introduce its SYNC in-car connectivity system in its cars sold in Europe, starting with the B-Max minivan in summer. The system can read aloud incoming messages through a text-to-speech feature and enables drivers to send a text reply by voice from a predetermined list of responses. "Smartphones have quickly become an essential part of many people's day. However, text messages can be a distraction for drivers, so the benefit of a system that can read messages aloud from compatible smartphones is obvious," said Christof Kellerwessel, chief engineer for electronic and electrical systems engineering at Ford of Europe, in a statement. Ford said more than 4 million vehicles in the United States already have SYNC and the automaker expects that 3.5 million new vehicles in Europe will be equipped with the system by 2015. According to the UK Department of Transport, 324 or 20 percent of fatal road accidents in 2010 in the country had impairment of driving ability or distraction as the likely cause. In the United States, 3,092 people, or 9.4 percent of road fatalities, died in crashes related to driver distraction in the same period, according to the National Highway Traffic Safety Administration. The RAC's spokeswoman said the distracted driving issue should be more closely examined by Europe's lawmakers. 'We would like governments to encourage all those involved in social media to push the road safety message with regards to in-car phone usage and other causes of driver distraction.'' she said.